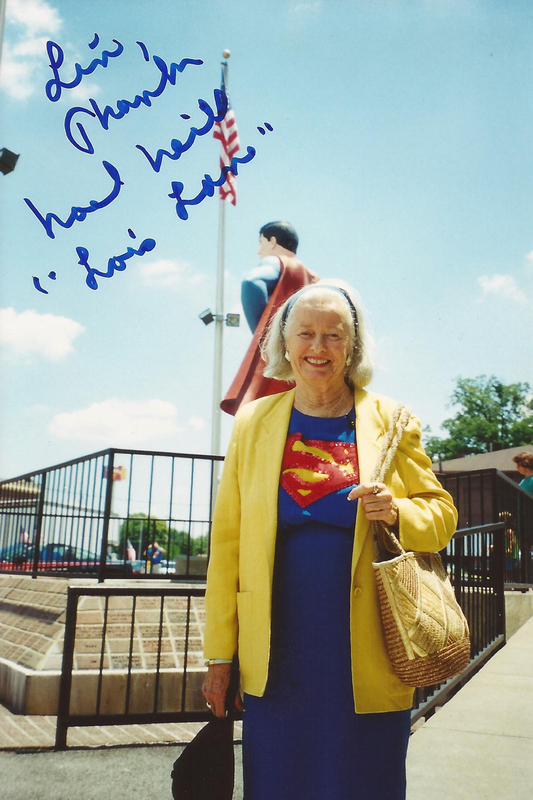 Happy 92nd Birthday to Noel Neill- the Original Lois Lane and First Lady of Metropolis! 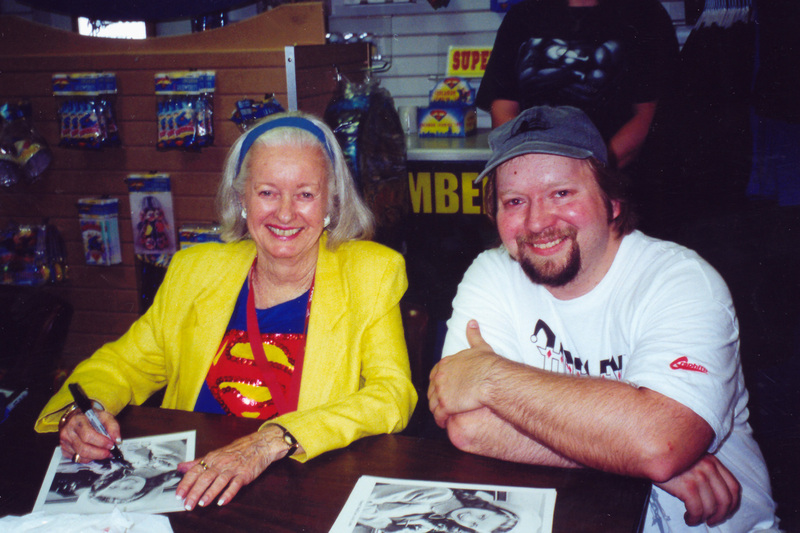 Today is the 92nd birthday of Noel Neill! 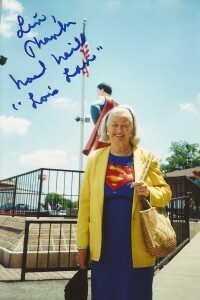 Noel was the original Lois Lane in the Kirk Alyn Superman movie serials, and the 2nd Lois in the George Reeves Adventures of Superman TV show. She also played Lois Lane’s mom in Superman:The Movie, was in a Jerry Seinfeld American Express/Superman commercial, as well as appearing in the Superboy TV series and Superman Returns movie. I first met Noel in Metropolis, IL at the 2001 Superman Celebration. 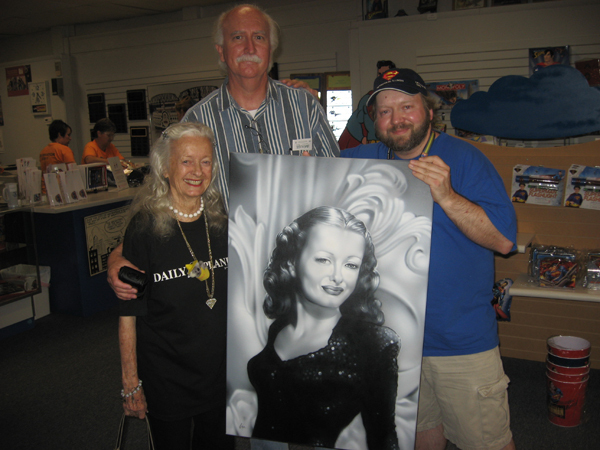 I continued to run into her and manager/agent/autobiographer Larry Ward each year at the Celebration each June, as well as at the Phoenix and San Diego Comic Cons. Both became friends of mine and I enjoy keeping in touch with them, and love getting Christmas cards from Noel! Recently Noel, Larry, and his family relocated from Tuscon, AZ and now call Metropolis home. (That’s Noel, Larry, and me with my Noel painting at the Metropolis Chamber of Commerce.) 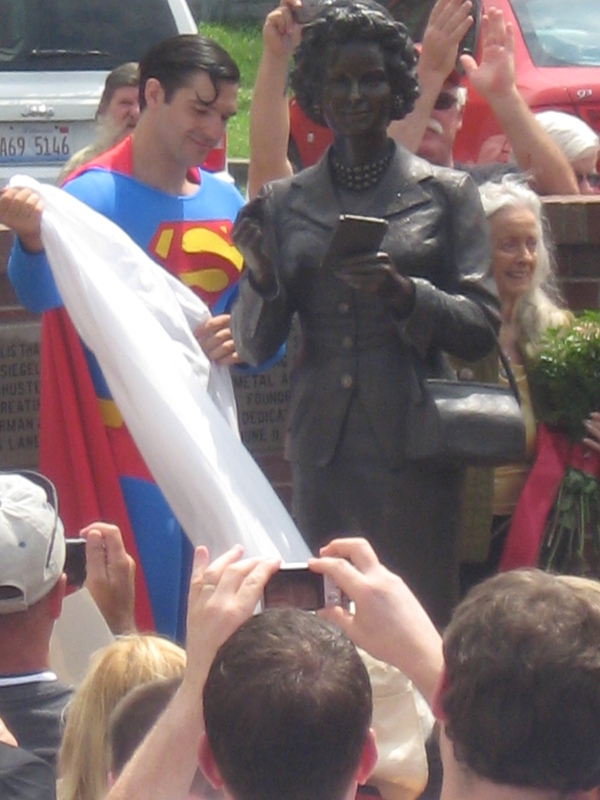 Larry recently purchased the Massac Theatre in Metropolis and is overseeing its restoration. 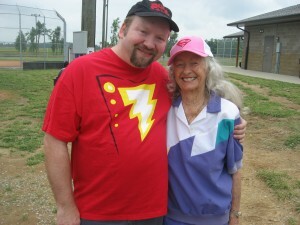 Happy birthday to my \S/uper-friend Noel!